Though we included a live seismogram in one of our supporting articles, as the time passes the waves from the Gulf of California earthquake will disappear. To avoid total erasing of this event, please find below the static seismogram from this M 6.7 earthquake. Clicking on the image will lead you to the seismicnet website where seismograph builders are publishing their seismograms and their questions and answers. An earthquake has always a P- and and S-wave, P being the first noticed, mostly seconds before the main tremor. P-waves are type of elastic wave, also called seismic waves, that can travel through gases (as sound waves), solids and liquids, including the Earth. P-waves are produced by earthquakes and recorded by seismometers. The name P-wave stands either for primary wave, as it has the highest velocity and is therefore the first to be recorded. The S-wave, secondary wave or shear wave is one of the two main types of elastic body waves, so named because they move through the body of an object, unlike surface waves. The S-wave move as a shear or transverse wave, so motion is perpendicular to the direction of wave propagation: S-waves, like waves in a rope, as opposed to waves moving through a slinky, the P-wave. The wave moves through elastic media, and the main restoring force comes from shear effects. The Mexican western states of Sonora, Baja California, Nayarit and Chiapas have been hit the last 24 hours by multiple earthquakes and aftershocks. Everything seems to be moving and more tectonic movements may be expected. 4 different main areas can be defined. With an epicenter in the coastal waters and a limited magnitude these earthquake can be categorized as safe. The greater area of the massive M 7.2 earthquake from April 4. 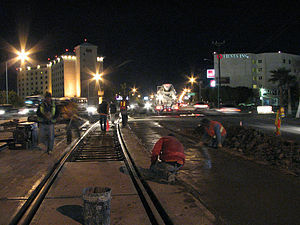 The epicenter of this earthquake was located more to the north in de border area between Mexico and the United States. Most of the aftershocks have an epicenter in unpopulated (beautiful!) desert areas. Active since a couple of weeks in various places and more or less in the greater Puerto Vallarta, Manzanilla zone. Potentially dangerous if a shallow earthquake would strike nearer to the coastline. Regular (mostly deep) earthquakes with Magnitudes of +5. Harmless because of the depth of the hypocenter. 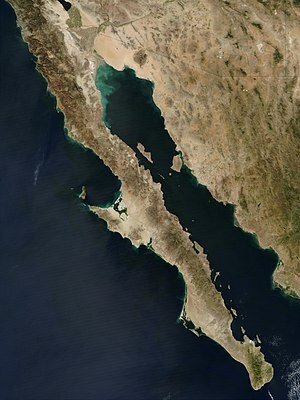 Light earthquake in the coastal waters of the Baja California peninsula. The whole area is very active the last couple of days. The powerful aftershock occurred in the middle of the night. The epicenter of this aftershock (earthquake) is in the same area than the M 7.2 main shock from April 4, 2010. Since that date a number of sometimes very powerful aftershocks have been hammering the border area. Earthquake report does not think that there will be a lot of damage or injuries as people in this area have very strong building rules and have witnessed much stronger earthquakes the last few months. Maximum shaking will be moderate to strong in the unpopulated epicenter area. Weak to light in the greater region. Inhabitants of Tijuana and San Diego will have merely slept through it, with only light sleepers as witnesses from this aftershock. The current epicenter is less than 20 km away from the April 4 earthquake epicenter and will probably be coming from the same fault line. Click here for a picture of the sand dunes of the Laguna Salada landscape, extraordinary beautiful!. The Laguna Salada is part of the Yuha desert, where the earthquake epicenter is located.